Karthik believes in the transformative power of education and is passionate about enabling lifelong learning. As the Global CEO of the Britannica group of companies (Britannica, Merriam-Webster, Britannica Knowledge Systems, and Melingo), he is focused on value creation for customers and unlocking the true potential of the trusted brands within Britannica Group. Prior to joining Britannica, Karthik spent over a decade at RELX (formerly known as Reed Elsevier; a FTSE 100 company) in various business leadership roles, driving business and cultural transformations and accelerating growth. In his last role, as Senior Vice President and General Manager for the Clinical Reference business, he launched products that won coveted industry recognition, including Best in KLAS and Frost & Sullivan Technology Innovation awards. His other positions within RELX included Senior Vice President and General Manager of Global Pharma and eCommerce and Vice President of Interactive Media. 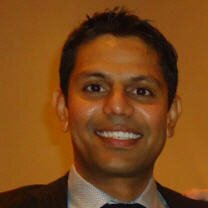 Prior to RELX, Karthik was Principal at AgilOne, responsible for building a relationship marketing practice aimed at maximizing customer lifetime value. He was involved with the William J. Clinton Foundation and was recognized by former President Clinton for his leadership in launching the Urban Enterprise Initiative. He also spent a number of years at Rodale, publisher of healthy active living magazines and books, as its digital transformation consultant -- launching award-winning websites (backpacker.com and menshealth.com), developing ecommerce channels, and forging business partnerships with MSN, Nissan, and AOL. He is currently on the board of Urban Upbound, a nonprofit focused on transforming the lives of people in public housing in New York city through job training, financial fitness and college education. He is an adjunct professor at New York University – Stern School. He is a National Association of Corporate Directors (NACD) governance fellow. Karthik has an MBA from New York University - Stern School. He received the distinction Stern Scholar and was inducted to the Beta Gamma Sigma honor society. He has a Bachelors in Engineering from Coimbatore Institute of Technology and was conferred the Student of the Year and Best Outgoing Student awards. He is also certificated in Design Thinking (Human Centered Design) by Stanford University.